Kim says "anything goes" this week for SDC210. For this challenge I am featuring two of Daniel's fantastic images Dwindled and Liaka in a somewhat offbeat anniversary card. 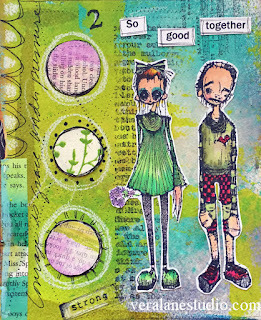 Amy's antique description is stamped over a swirl of dried Dylusions sprays. 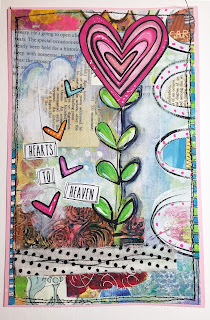 Collage bits and a hand drawn border is added to complete the composition. "So good together" is printed from the computer. 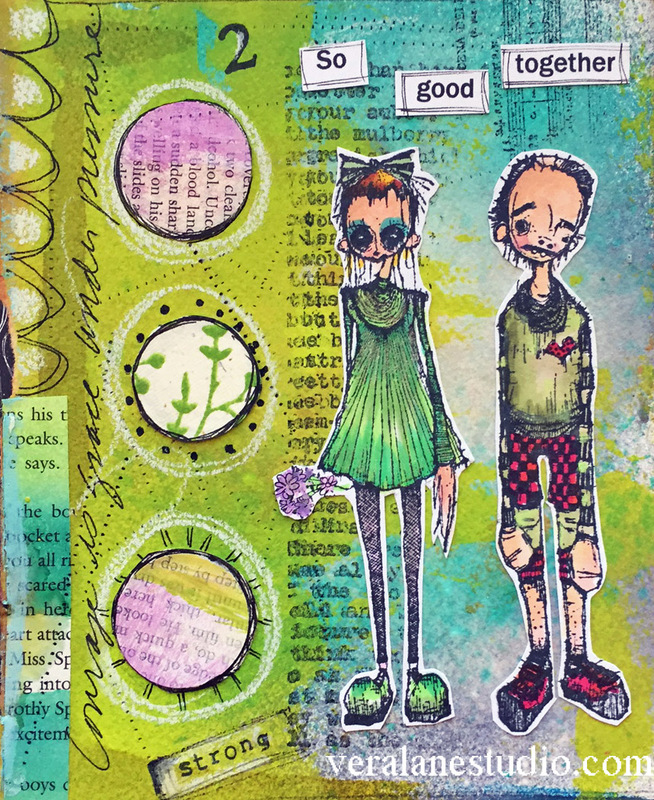 Anything goes this week at the Stampotique Designer's challenge. 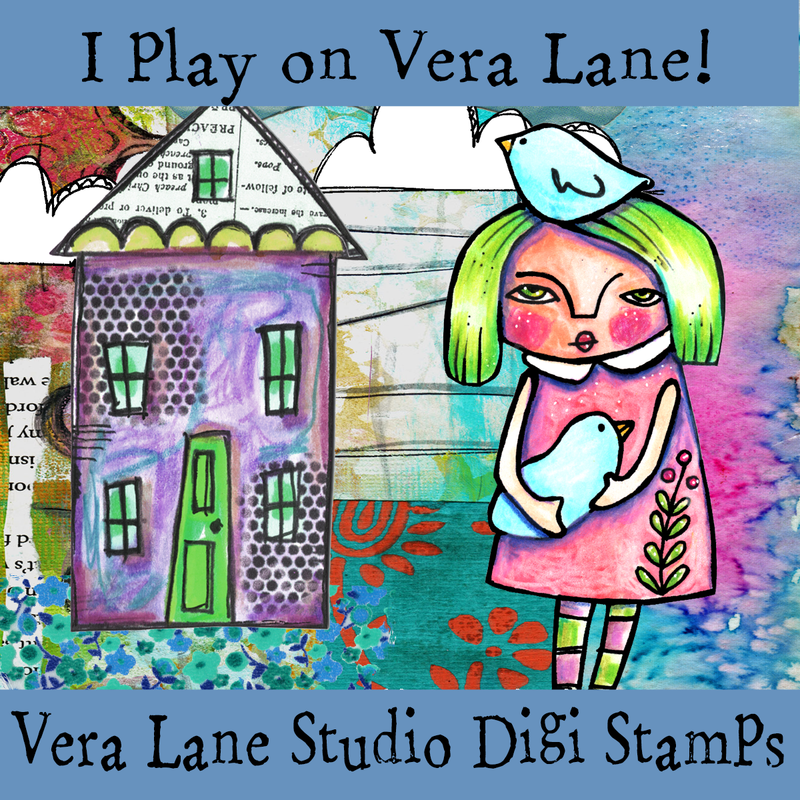 Enter today for a chance to win a voucher for some cool stamps in our monthly drawing. 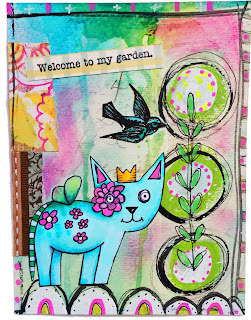 You have arrived at the new release blog hop to Stampotique's 2015 summer release. The design team has some amazing samples ahead. I hope you enjoy the hop. 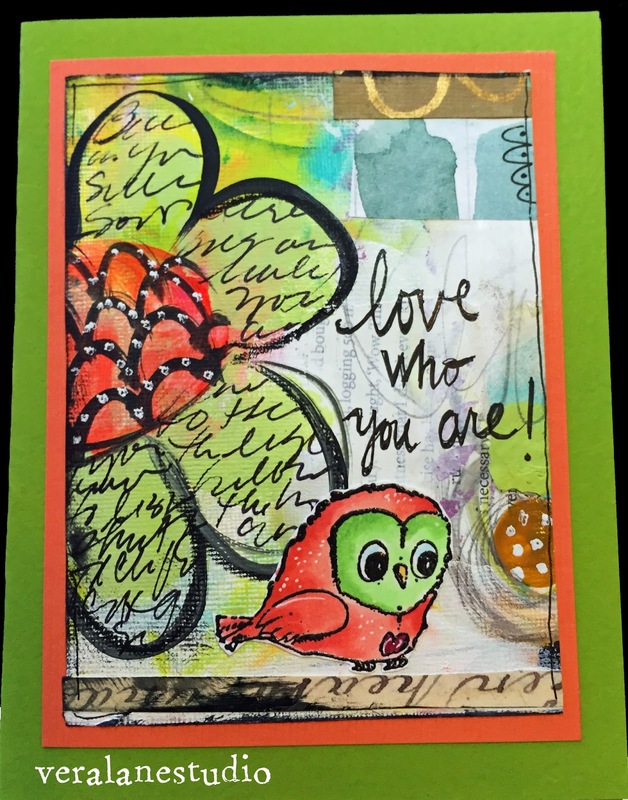 My little mixed media card features Magda's darling Mr. Owl. He's sure to be a Stampotique favorite. 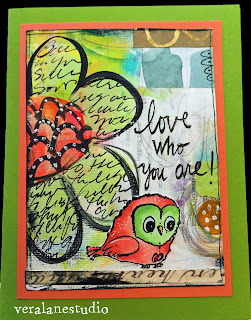 I had initially made this in a small art journal but decided to turn it into a card. The wide open spaces in this little guy makes it a joy to color. Coby van Willigenburg and continue the hop to see more examples from our amazing team. 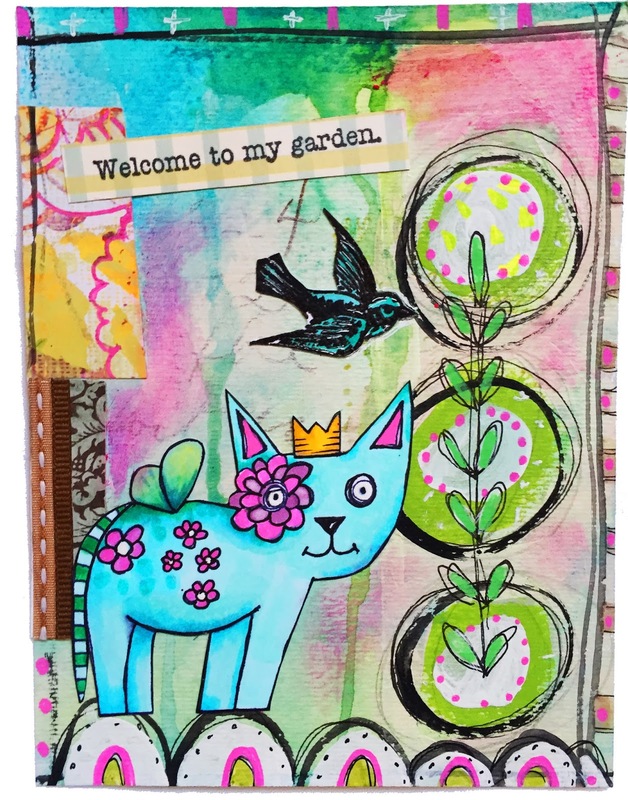 As always, Stampotique will be giving away a $30 gift certificate for stamps and a grab bag of stamps on two of the blogs-but you won't know which ones they are so stop by and visit them all. We will pick the winners on our first challenge in September. Stampotique has so many unique animal stamps. 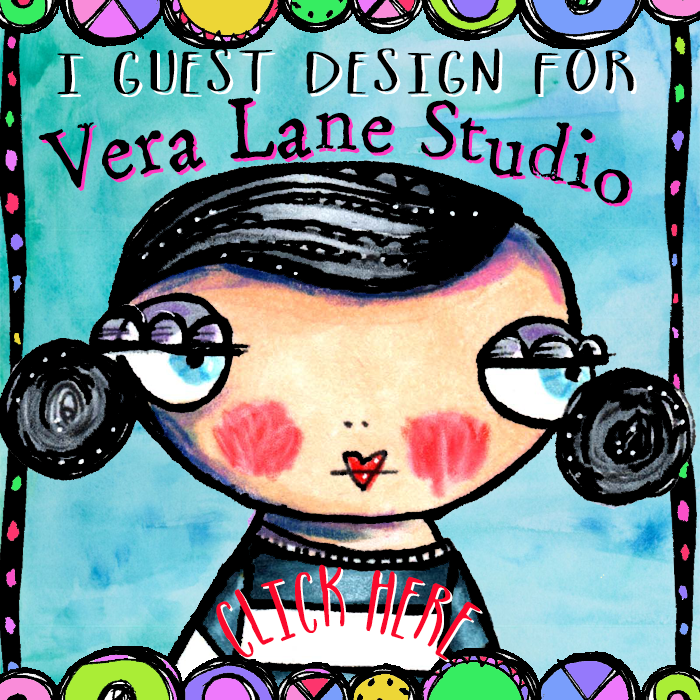 Jackie is our hostess this week and would like to see us use one in a stamped creation. 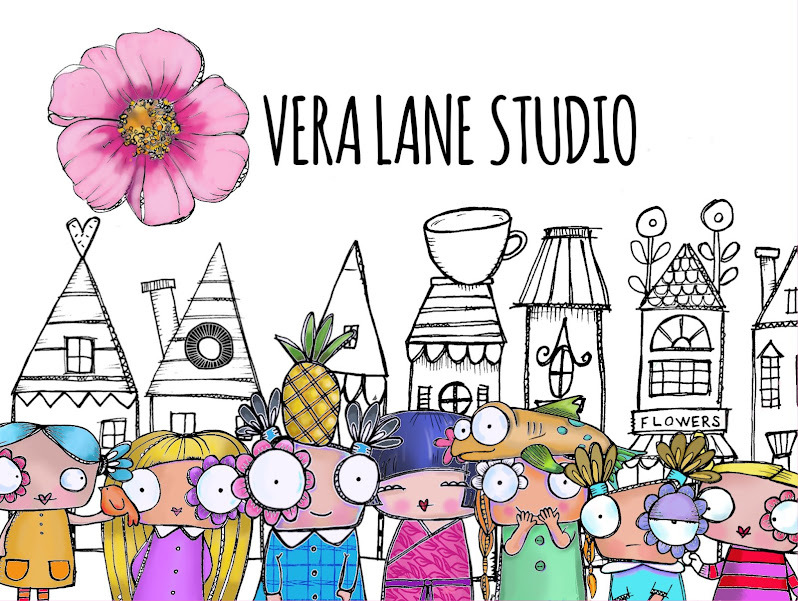 Like many of you, I did not have the pleasure of knowing Lily Chilvers, but one could not help knowing of her from the world she created in her art. Learning of her passing struck deep emotions, someone so beautiful, so young, so creative -- we question why? While we will never know those answers we hope that she continues to invent and create in a beautiful heaven we are yet to know. 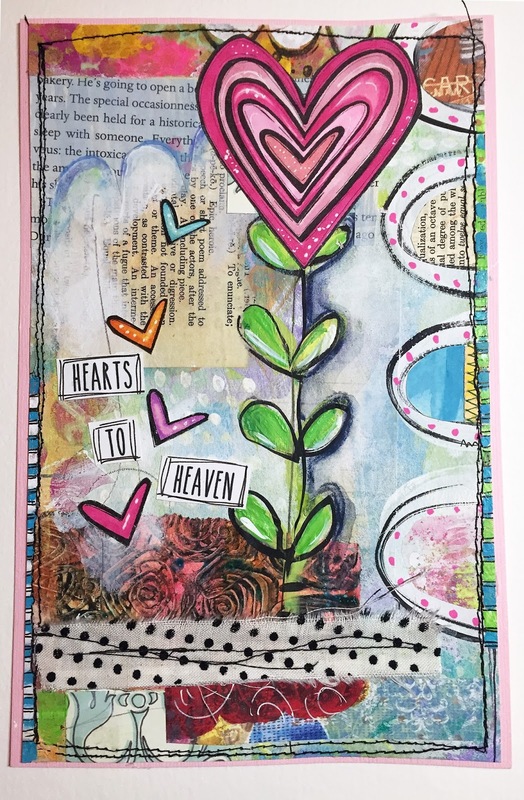 "Hearts to heaven" is my tribute to Lily. It represents the lives she has touched and the love we are sending her and her family in this tribute. I think you will all agree that the world has lost a special person and talent. As her family and close loved ones carry their grief, let us all take a moment to honor her in hope that it may lift their spirits and bring some comfort. May Lily live on forever in her art. Sending thoughts and comforting prayers to her loving family.